Like all public auto businesses, owning and operating a motor coach business in California means you are transporting people. Since you are dealing with so many people at one time it presents a unique situation when it comes to insurance. You need to make sure you are not only protected in case something happens to the coach or the driver but also if there is an accident, you need to make sure you have enouogh protection in case 1 or more of the passengers are injured. Deductibles are available upon request and we can package all lines of coverage. Let Insurelimos.com build an insurance program around your unique needs. Our packages are designed specifically for ground transportation operations such as charter, transit, limousine, and school bus which can be tailored to meet your specific coverage requirements. We offer traditional first-dollar coverage, small and large deductible programs, self-insured retentions, and various alternative risk transfer (ART) programs, for those seeking an innovative solution to risk management. 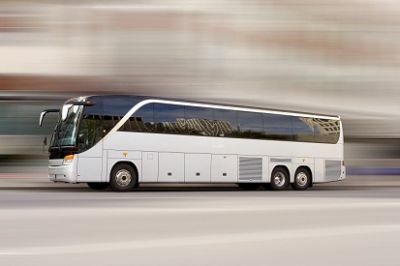 We have been helping our clients on the West Coast, Northwest and Central states to help evaluate and choose the right insurance packages for their Motor Coach companies. Give us a call today 888-254-0089 or use our secure form to get a free quote.